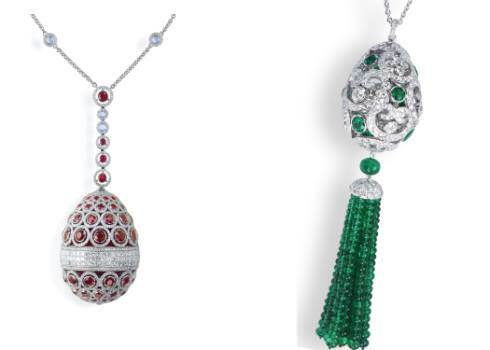 Fabergé, the world‟s most iconic jeweller, is unveiling its first new collection of High Jewellery egg creations since 1917. 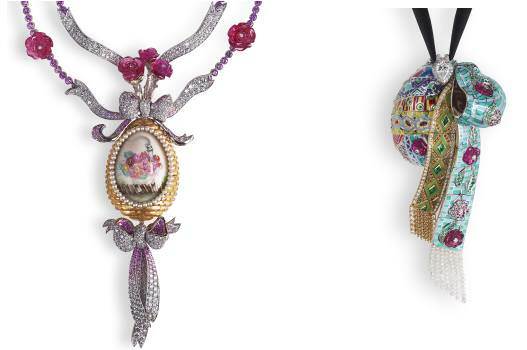 Paying homage to the legendary Imperial Eggs created by Peter Carl Fabergé for the Romanov family, Fabergé has designed a collection of one-of-a-kind couture egg pendants, collectively named "Les Fameux de Fabergé". The first creations from this collection, launched to coincide with Paris Couture Week July 2011, mark the beginning of a series of twelve one-off high jewellery egg pendants. The egg is the symbol of rebirth and in Russia it marked the renewal of spring after the long, harsh Russian winter. Fabergé’s egg pendants also proved a fashionable form of social currency before 1917 and were the hallmark of Fabergé‟s tradition of gifting. Each of the twelve Fabergé High Jewellery Egg pendants is unique and based on a theme, inspired by an old Russian proverb that is brought to life by the finest craftsmanship in the world today. Fabergé will also work on private, personal commissions incorporating personal references, meanings and messages, just as the Imperial Easter Eggs were created as personal gifts from one family member to another. The "Les Fameux de Fabergé" collection will be exhibited at Fabergé in Geneva from 18 July to 21 August 2011. 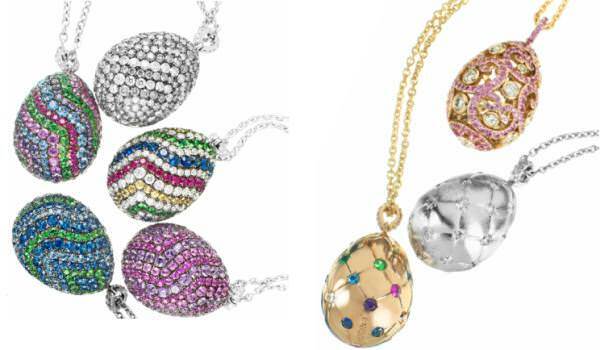 At the same time, Fabergé is launching "Les Frissons de Fabergé", a collection of Fine Jewellery egg pendants, with a repertoire of around 60 different designs, at lower price points, to further rekindle the tradition of Fabergé as gifts for special occasions. As part of its growth, Fabergé plans a return to London, which would be the first Fabergé store in the city since its store Bond Street store closed in 1915. A retail location is also actively being sought in New York, and sales channels in other locations will be added over the coming years.